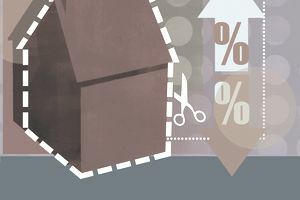 Discount points are one of the more confusing aspects of the mortgage process for many borrowers. They're fees that are specifically used to buy down your interest rate. They're sometimes called a "discount fee" or "mortgage rate buydown" on settlement statements. One discount point carries a cost equal to one percent of your loan size. Discount points are not the same as your “origination fee”, the fee that the mortgage lender charges to complete the loan. When a loan officer talks about one point on a $100,000 loan, he's referring to one percent of the loan which would equal $1,000. One point equals $3,000 to be paid on a $300,000 loan. It's payable at the time you close. Lenders offer different interest rates on loans with different points. You have three main choices to make about points. You can decide you don’t want to pay them or receive any points at all. This is called a zero point loan. Or you can pay points at closing to receive a lower interest rate. Your third option is to have points paid to you and use them to cover some of your closing costs. These are called "lender credits". You will keep your mortgage for a long time and want to keep the payment as low as possible. You like the interest rate and will likely hold the home for less than five years. You want to keep your cash to close as low as possible and you can afford a higher mortgage payment. You pay $675 more at closing. Over the life of the loan, you will pay $14 less each month. With no adjustments in either direction, it is easy to understand what you’re paying and to compare prices. You get $675 in a lender credit. Over the life of the loan, you&apos;ll pay $14 more each month. The time you plan on owning the home is a big part of the equation if a “break-even” analysis is important to you. The analysis is simple. Take the cost of the discount points and divide that by the monthly payment savings or cost you'll realize and you’ll figure out how many months it will take you to break-even. $675 in cost / $14 per month savings will result in a break-even point of 48.21 months. If you plan on keeping your mortgage for more than 4.1 years, or 48.21 months, then paying the discount points makes sense. Anything less than that and you might have made the wrong financial decision. Keep in mind that there are certain tax benefits in holding and paying a mortgage and there are tax consequences as well that you should consider when you run the numbers. Both interest rate and discount points are tax deductible for some borrowers. It depends on the nature of your occupancy, the number of properties you own, the size of your loan, and a few other factors. It's best to consider all the details when you're making a decision on whether to pay discount points. Applying your personal financial situation to your mortgage choices can result in a decision that affects you for 30 years, so make it wisely.